Benjamin Alire Saenz, 2012. Saenz’s Last Night I Sang to the Monster was the best YA novel I’ve read in a long, long time, so I had perhaps unrealistically high hopes for his latest. The verdict? It’s no Monster, but it’s a great book nonetheless. 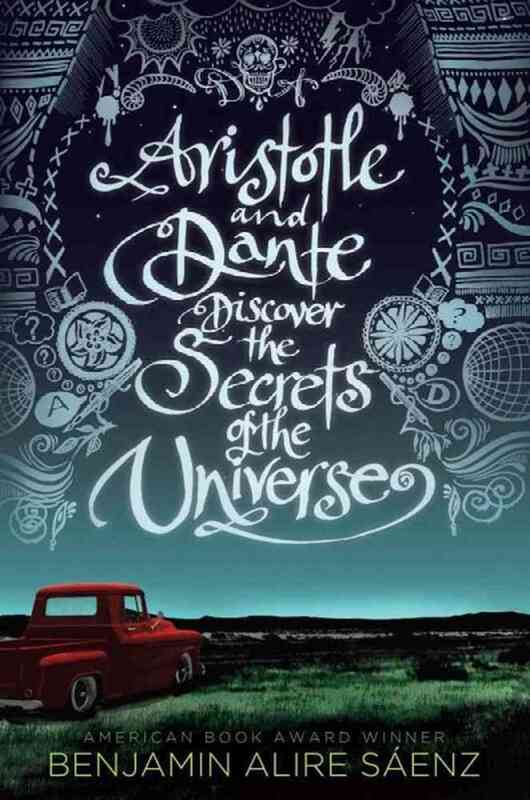 Aristotle and Dante are two oddly-named teenage boys, both uncomfortable with their ethnic identities and their sexualities. Both spend too much time thinking, but only Dante is able to easily talk about his worries and theories. Ari keeps to himself and tries to ignore the hints Dante sends him about love and attraction – but then Ari breaks both his legs pushing Dante out of the path of a car. In the end, well, do I even need to say it? Borderlands are a theme throughout the novel – both boys live on the border between Mexican and white culture. Both, but especially Ari, blur the once-crisp delineation between gay and straight. Ari’s mom talks a lot about ecotones, or the transition zones between (say) prairie and forest. In addition to writing YA, Saenz is also a poet, and this shows in the way he plays with language in his novels. This translates to beautiful and memorable narration (“I felt like a soccer ball after a game” was one of my faves), and yet Saenz is easily able to change gears and write fairly realistic dialogue for two teenage boys. It’s not all perfect – Dante in particular is a little too straightforward about his emotions to be completely believable – but it works in context. This entry was posted in 2012, Benjamin Alire Saenz, biracial, bisexual, gay male, latina/o, lesbian, passing mentions, problem novel, queer adult, queer protagonist, realistic, romance, secondary queer character, surprise queer character. Bookmark the permalink.